The Whydah was the first pirate shipwreck to be positively identified, and, nearly a quarter of a century later, remains the only pirate shipwreck whose identity is unquestionably authenticated. 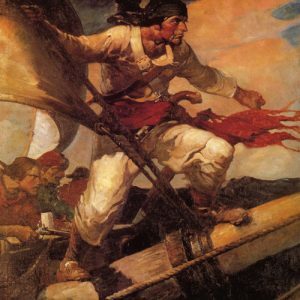 The Whydah may therefore be the only glimpse the world will ever have into the material culture of an extraordinarily secretive group of men—the pirates of the 17th and 18th century Atlantic world. Artifacts recovered from the site confirm many points made about pirates by contemporary observers, including such important features of their society as their egalitarianism, internationalism, racial tolerance and their unique brand of democracy. More importantly, however, previously-unknown aspects of the subculture of piracy have been brought to light. Their adaptation and use of weaponry, for example, has provided new insights into not only their operations and tactics, but even their apparel as well. Of equal significance is the fact that the Whydah was originally built and used as a slaver before being liberated by Sam Bellamy’s pirates. As such, this wreck is one of only a very few that represents a vessel engaged in the Triangular Trade and the Middle Passage. Recovered artifacts from this phase of her career, such as slave shackles and the stove used to prepare provisions for the captives, are very important as “living links” or “touchstones” to an extraordinarily tragic episode in human history. 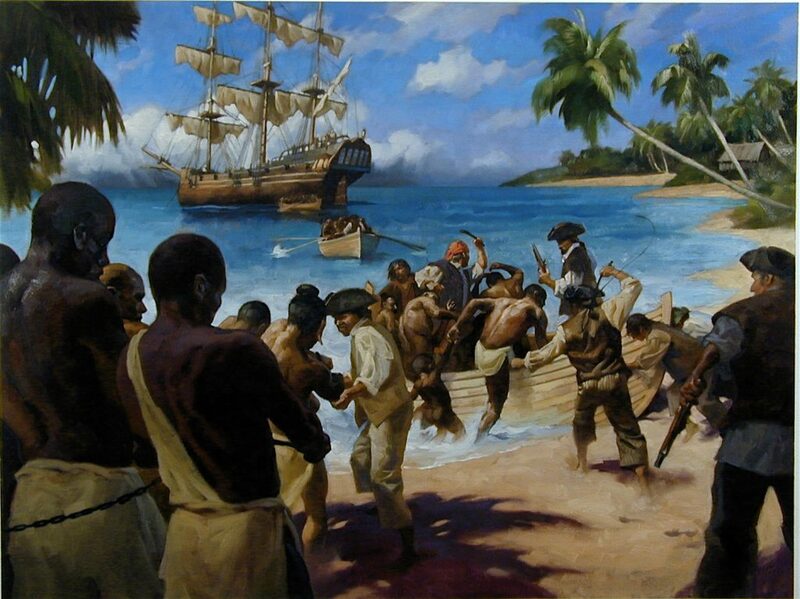 Just as the Whydah’s pirate crew were racially, nationally and religiously diverse, so too were her contents. At the time of the wreck, she was carrying the picked valuables from over fifty other ships captured by Bellamy’s pirates. The Whydah collection therefore represents an unprecedented cultural cross-section of material from the 18th century. The stories of these artifacts, as well as that of the ship herself, knit together over a dozen countries on four continents. 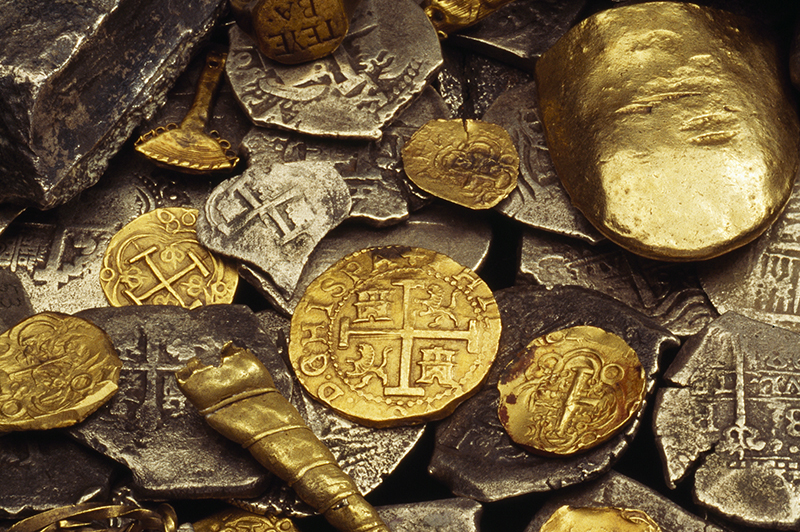 For example, the more than fifteen thousand coins recovered thus far represent the numismatically most diverse assemblage of shipwreck treasure coins ever found. 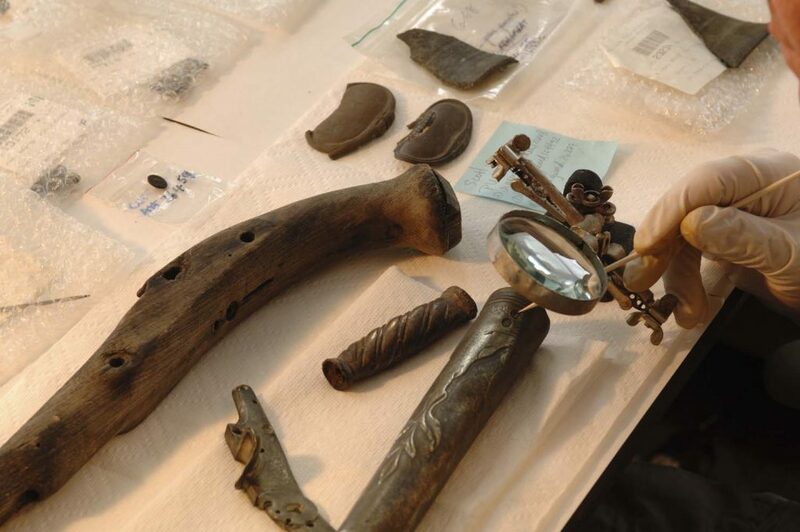 Even artifacts of European origin have been recovered that have cast new light on the material culture of this period. In addition to her tremendous archaeological importance, the story of the Whydah is a vehicle that links a number of important historical events and personalities in a fresh and insightful way. It involves such personalities as cartographer Cyprian Southack, puritan minister Cotton Mather (of Salem Witchcraft Trials fame), the powerful Adams family of Boston, philosopher Henry David Thoreau and others. Sam Bellamy, captain of the Whydah, was linked to such important pirates of the “Golden Age of Piracy” (c.1690-1725) as William Kidd, Blackbeard, Bart Roberts, William Condon, Ben Hornigold, Henry Jennings, Olivier ”La Buse” Levasseur (“the Buzzard”) and others. Given the tragic drama of the Whydah shipwreck itself, and the fact that the Whydah was a pirate ship carrying an enormous cargo of treasure, ensured her place in American folklore. The legend of pirate captain “Black Sam” Bellamy and Maria Hallett “the Billingsgate Witch” is particularly enduring and appealing. With elements reminiscent of Shakespeare, Hawthorne, Cooper, Irving, Longfellow and Sir Walter Scott, it is especially compelling when the historical evidence for the basic core of the story is considered.